This is the fourth post in a five part series. Henry “Hank” Thomas Clark was born in Albuquerque, New Mexico in 1941. Growing up in a mobile home, his father was a failed businessman who ended up shooting himself in the head when the young Henry was just eleven. His mother was a drunk, favoring Vodka – specifically Screwdrivers and Bloody Marys – and whiskey. Determined to make a better life for himself, Clark accepted a full-ride scholarship to Arizona State University where he went on to be a three time all-Pac 10 pitcher for the Sun Devils. His dreams of pitching professionally were ruined when he was in a car accident his senior year. Unwilling to give up his dreams of a better life, Clark took a job at a resort in Scottsdale, Arizona, where he began networking with influential people in the real estate business. At the age of twenty-four Clark began working for a developer, where he learned and perfected the art of crafting a business deal. He experienced his first taste of money, and consequently developed a love for it. By the age of thirty he was a millionaire. By thirty-five he’d made more than twenty million dollars. After President Nixon’s resignation, when citizens were looking for anyone but your average politician, Clark capitalized by running for office in Arizona. The young Republican was elected to the United States Senate and took office in 1976. 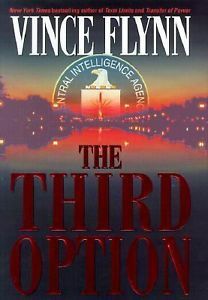 When first introduced to readers in The Third Option, Hank had been in office for twenty-two years. He was dreaming of becoming the next president of the United States and developed a plan to take down the current Commander in Chief, Robert Xavier Hayes, along with the rest of his administration and the Democratic Party with him. Clark’s objective was to bring down the CIA by exposing Mitch Rapp while pinning the assassination of Count Hagenmiller on the Hayes administration. Through Peter Cameron, a former employee of the CIA whom Clark hired, Hank had Rapp crossed during an operation in The Count’s Germany home. The people accompanying Rapp were paid to betray him, and Mitch was shot in the chest and left for dead. At first glance it appeared that their plan had worked – but as many bad guys have learned the hard way, killing Mitch Rapp is never easy. For further details on the storyline involving Rapp, the Count, Peter Cameron and the two operatives (a couple named Jansen) who crossed Mitch, you can read that here. Cameron already made this list, so there’s no need to explain the entire storyline twice. Clark, who was upward of two hundred and sixty pounds – the product of eating good food – had it all. Money, his own island in the Bahamas, and a beautiful (third) wife. He even owned an 1886 Winchester .45-70 lever-action rifle that had originally been given to President Cleveland as a wedding present, and a collection of first edition novels written by Ernest Hemmingway, all signed by the famous author. He’s a compelling villain for several reasons. First, he’s likely the most manipulative character ever created by Vince Flynn, who, on a side note, was also a huge fan of Ernest Hemmingway. He manipulated Cameron, Albert Rudin (the democratic congressman) and Secretary of State Charles Midleton. All of whom ended up dead because of their involvement with Clark. Cameron was killed by Donatella Rahn, who was paid handsomely by the Senator to stick a metal spike into Peter’s ear. Rudin, who had gone to the press with Rapp’s photo and information, was pushed out of a fourth-story window of the Capitol Building by Clark himself. And Midleton, well, he was forced to resign by President Hayes after being confronted about his relationship with Clark (a republican) and their attempt to thwart his nominee to succeed Thomas Stansfield as Director of the CIA – Irene Kennedy. Midleton later took his own life. As for Clark, he thought he got away with everything, his storyline carries over from The Third Option to Separation of Power. Eventually, Mitch finds out he was the man behind everything and, with the help of Donatella, poisons his glass of Merlot. Clark died at the Cosmo’s Club in Washington, D.C. with Rapp, using his alias of Mitch Kruse, right next to him. Consider this: Thomas Stansfield, the seasoned spymaster, was searching for the mastermind behind the plan to cross Rapp and never found him. And it’s not as if he didn’t have the opportunity to feel him out, the two sat before President Hayes in the oval office together before Stansfield’s death. While Clark wasn’t guilty of any mass murders, like several other people on this list, he is uniquely hated by fans. The following people were killed because of their interaction with him: Peter Cameron, Tom and Jane Jansen, Mario Lukas, Albert Rudin and Charles Midleton – just to name a few. Karim, who was fond of calling himself The Lion of al-Qaeda, was the mastermind behind the terrorist cell that successfully bombed three separate restaurants in Washington, D.C.
Karim was a loyal jihadist, fueled by his deep hatred of America. He’d seen the Americans in battle, while at war in Afghanistan. Once, after learning that seven elite soldiers had been dropped by a helicopter, Karim’s commander led hundreds of men to their position. Sixty men were sent to engage the seven American soldiers, yet only five men made it back down the mountain. When Karim was ordered to lead a group himself, he simply took aim with his pistol and killed his commander. Karim was well aware of America’s superior fighting forces, so he developed a plan to train a unit that would work as the Americans did in battle. He’d purchased a compound in South Africa for $50,000 and was training his men on the 250 acres of private property. His men, after six months of training, were practicing assembling bombs in a timely matter. The last man to complete his bomb, Zachariah, was the only Egyptian in the group. His uncle was funding the majority of Karim’s operation. Unhappy, Karim thought about the United States Navy SEALS – one of the most elite fighting forces in the world – and specifically took note of their selection process and how many men failed to actually make it through their training. Emulating that thought process, with the same calm confidence he displayed when he’d killed his commander, Karim shot Zachariah in the head with a 9mm pistol. After leading an assault on a drug compound/airport in South America, which Karim used as practice for his seven men – to see how they would hold up in combat – they were off to Cuba, taking some of the drugs with them. Using some Cuban drug smugglers, Karim and his men gained entry to the US via the Florida Keys. Using explosives that they obtained from a mosque in Washington, D.C., Karim and his men bombed three different D.C. area restaurants – one of which killed many government officials. They set off another bomb at one of the sites, shortly after medical and emergency personnel arrived – in an attack that specifically targeted those arriving to help. In total, 185 people were killed, and another 211 were wounded. While Mitch Rapp and Mike Nash were interrogating a man with connections to Karim, Karim’s men blew the front door to the Operations Center. They entered wearing full SWAT gear, and opened fire on innocent people. Rapp came up with a daring plan, and he ordered Nash to take out the first shooter from a balcony ledge. Once the first shooter was down, Rapp rushed the other armed gunmen, killing them each with nothing but his Glock pistol. Karim had given the last man a detonator that could be used to set off the suicide vests each man was wearing, should a good opportunity present itself. The vests were set to explode five minutes after the jihadists stormed the building, and by the time Rapp and Nash had killed all the men, there were only thirty seconds left before the vests were set to detonate on their own. Rapp and Nash blew a hole into one of the windows overlooking a concrete ramp, and then quickly began throwing the dead bodies out of the Operations Center. They tossed the last man out just in time, averting further devastation. Unfortunately, that wasn’t yet the end of Karim. During the assault his men carried out, he’d managed to escape. Along with his childhood friend Hakim, the two men fled to an old farmhouse in Iowa. There they hid quietly, until a father who’d surprised his son and arranged for him to skip school so they could go turkey hunting one more time before the seventeen-year-old went off to college, showed up to hunt on the property. Hakim had tried to handle the situation, and politely allowed the father and young man to hunt their woods. Karim opted instead to kill them both, gunning them down in the driveway. The incident with the father and son was the straw that broke the camel’s back, so to speak, between Karim and Hakim. When Hakim turned to walk away, Karim saw it as a sign of disrespect and physically beat his longtime friend – further proving what a madman he’d become. Traveling by RV, the two men traveled to northern Arkansas. Karim picked a house, killed the elderly owners. Again, Hakim became distant from his longtime friend. He wanted the killing to stop. While Karim was distracted, Hakim stole a car from the murdered couple and took off on his own. Hakim slowly made his way to the Bahamas, where he was captured by Rapp and taken to Virginia. Meanwhile, Karim made his way back to Washington, D.C and kidnapped Mike Nash’s oldest daughter, Shannon, taking her hostage at the Lincoln Memorial and demanding Nash’s life for hers. Nash was prepared to give himself up to Karim to save his fifteen-year-old daughter. Becoming angry at everyone involved, including Mitch, Mike was melting down… so Rapp decided to act. Stabbing an Epipen into his Mike’s neck, the sedated Nash fell limp and was caught by Reavers. When Nash’s phone rang Rapp answered, infuriating Karim. Mitch quietly asked Hakim, who was brought on location, if he was “tired of seeing innocent people die,” to which Hakim replied “yes.” Giving him the phone, he instructed Hakim to upset his friend, enough to get him yelling so Rapp could pinpoint where Karim was in the building. The plan worked. Using an M4 rifle, Rapp entered the Lincoln Memorial and heard Karim. When he saw him, the terrorist was screaming into his mobile phone at Hakim. Before Karim could react, Mitch double tapped him three times, all high center mass, knocking him backwards. Laying on his back, still alive because of the bullet proof vest he was wearing, Karim tried to say something – but Rapp didn’t care. Pointing his rifel at Karim’s face, Mitch pulled the trigger and killed him. I’ve discussed the top villains in the Rapp series with a ton of fans. 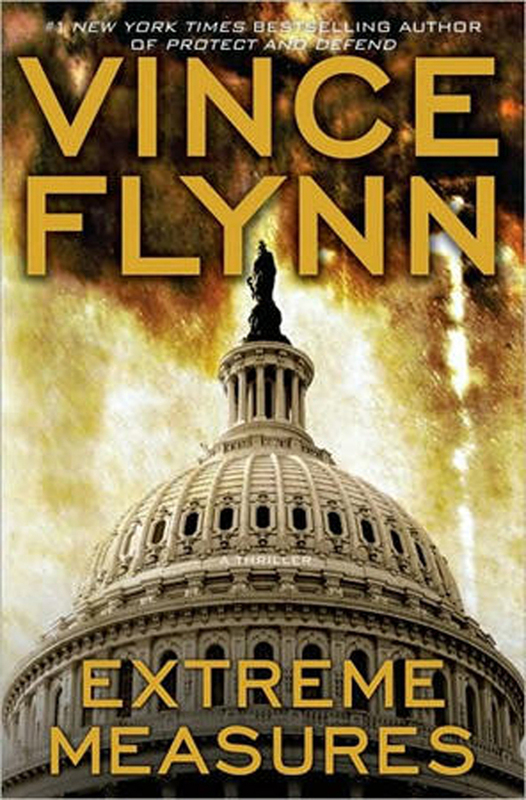 Vince Flynn was known for creating compelling bad guys that readers hated. Karim is rarely mentioned in these discussions, and I can never quite figure out why. He’s a mass murderer – all in the name of jihad, of course – and his story was told over multiple books. To me, Flynn’s best villains were guys that hung around for more than just one story. In fact, as I reveal the final two villains, you’ll see that both of them have appeared in multiple books! There’s only TWO villains left, so stay tuned!